Following three highly successful previous tours in Caithness community venues, Wick born accordionist, pianist and composer James Ross is back with more live music for Wick and Thurso audiences. The community performances also coincide with the premiere of James' new composition for The Caithness Orchestra, which takes place on Wednesday 29 March in Wick and Thursday 30 March in Thurso. 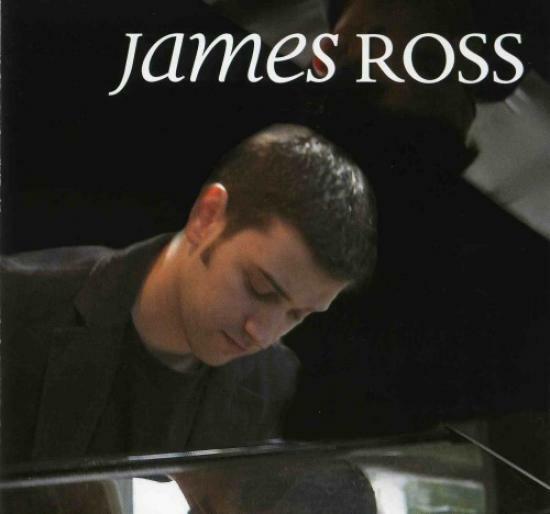 James has had a busy year, which has included the launch of his debut solo cd and a prestigious Donald Dewar Arts Award to support the development of his professional career as a musician. James, from Wick, began playing music at the age of eight, studying under respected musician and composer, the late Addie Harper. He went on to study at the Royal Scottish Academy of Music and Drama, Glasgow, from which he graduated with a BA in Scottish Music in July 2000. He subsequently gained an MA in Traditional Irish Music Performance in June 2001, studying piano under Professor M�cheal � S�illeabh�in at the Irish World Music Centre, University of Limerick. He has performed extensively throughout Britain, Ireland, America and Canada. James has recorded with James Graham, Wendy Weatherby and has just recorded a cd will fiddler Anna-Wendy Stevenson which will be released later this year and his current project is recording his debut solo CD. As part of the prestigious Celtic Connections New Voices series James's commission 'An Cuan' written for piano with string quartet, soprano saxophone, double bass and percussion was performed at last year's festival to critical acclaim. He teaches traditional piano at the Royal Scottish Academy of Music and Drama. Since, November 2001, he has been part of the late Yehudi Menuhin's Live Music Now! Scheme, which takes live performances to a wide range of community venues. Live Music Now was founded by Yehudi Menuhin in 1977 with the two-fold aim of taking live music of high quality to everyone in our communities while simultaneously offering young professional musicians the invaluable opportunity of performing at the outset of their careers. The tour idea was set going by local Highland Council Cultural Co-ordinator for schools in Caithness Christine Russell who is based in Wick. Funding came from the Cultural and Arts budgets.